Sikkim beat 51 other nominations from across the globe. Brazil, Denmark and Quito in Ecuador shared the Silver award. Sikkim Chief Minister Pawan Kumar Chamling received the UN Food and Agriculture Organisation's (FAO) Future Policy Gold Award for paving the way for the rest of the world. The CM received the award as Sikkim became the world's first fully organic state. "Let us build an organic world together," he said while accepting the award from FAO's Deputy Director Maria Helena Semedo, who praised the state for setting an example. "An organic world is definitely achievable. I also appeal to the world community that we do not carry out any kid of development work and business at the cost of the environment," CM Chamling said, as mentioned in agency reports. "Sikkim is an outstanding example on how to successfully transform the food system and ensure respect for people and planet," Semeda said while presenting the award. She said that Sikkim's organic farming "has benefited over 66,000 family farmers, reaching beyond just organic production to include socioeconomic aspects such as consumption and market expansion, rural develoment and sustainable tourism with its comprehensive and inclusive approach". "My message is a chemical-free world. If we want to protect the planet we have to go for chemical-free farming," she added. A film was also shown at the ceremony that highlighted Sikkim's transformation through research, marketing and education of farmers. Sikkim beat 51 other nominations from across the globe. Brazil, Denmark and Quito in Ecuador shared the Silver award that was presented by president of the Navdanya International and environmental activist, Vandana Shiva. 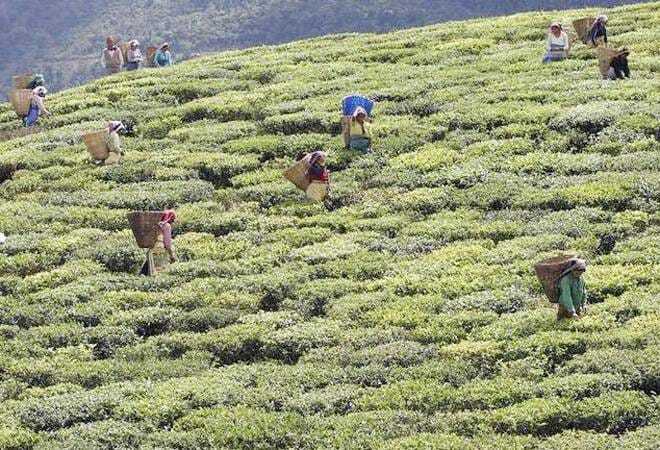 Earlier on Monday, Chamling had said during a news conference that organic farming was a form of non-violence. He said that when his government embarked on this journey in 2003, they were confronted by opposition parties and the chemical sector. However, they made it through sheer hard work and a strong political commitment to become completely organic by 2015. Other states like Kerala and the Northeastern states are now following their footsteps. The award nicknamed "Oscar for best policies" is co-organised by the FAO and the World Future Council (WFC) and IFOAM - Organics International. The award recognises the world's best laws and policies promoting agroecology. "The U.S. has a vested interest in making India a digital colony"